Since the release of Windows 8, and the ‘Metro’ interface, touch screen input has been implemented in a rapidly rising number of Windows devices including Microsoft Surface Pro/Book, 2-in-1s, convertible laptops and tablets. Microsoft has catered for this trend, implementing conversion between touch/pen handwriting to computer text in software such as OneNote. In this paper I will detail my research into the forensic artefact ‘Waitlist.dat’, which I believe to be associated with this functionality. Shaun Bettridge – Peer review, contribution to data structure analysis and being a sounding board for ideas throughout this analysis. ‘WaitList.dat’ (WaitList) is a data file which has been found to contain stripped text from email, contact and document files. The population of data within WaitList is associated with the ‘Microsoft Windows Search Indexer’ process. This process locks the WaitList file on a live system. I have only identified WaitList on PCs which have utilized touch screen handwriting recognition features. My own touch screen laptop did not contain this file, as I had not used the feature. In order to test its creation, I setup and began using the handwriting recognition in OneNote, and WaitList was soon automatically created. The following morning full text extracts of all emails I had received overnight were populated within WaitList. The "App Lexicon Timestamp" key is a Windows 64 bit FILETIME (Big Endian) timestamp which matches (within ~10 seconds) the installation time of the COM Class Object 'UserLexiconManager'. This is not the date when this key was created, or the date from when WaitList population commenced. On my PC, this date was prior to my purchase of the laptop, likely associated with the initial Windows 10 installation. Alternatively, these registry key values can be created by enabling 'Personalised Handwriting Recognition' for a supported language in the Control Panel. As of Windows Vista, Custom Dictionaries have been used to improve handwriting recognition results. This has worked by the Input Personalisation System (IPS) collecting user data, which a 'Text Trainer' 'tunes' and stores in 'lexicon blobs'. The text trainer stores Application Lexicon Blobs, and User Lexicon blobs. Both blobs can be used by the Handwriting Recogniser, and both blobs are updated when new data is received by the IPS, thereby continually improving handwriting recognition accuracy. The 'DocID' (Offset 0x1C detailed in Data Structure below) appears to match entries within WaitList to values within TextHarvester.dat. This link will be investigated and detailed in a future blog post. Whilst further research is definitely required it is possible that the 'Microsoft Windows Search Indexer' collects and stores user data in WaitList, following which TextHarvester acts as the 'Text Trainer', tuning the user data into TrainedDataStores (User Lexicon Blobs) for use by the 'Handwriting Recogniser'. If you know more about these files please contact me at b2dfir@REMOVE.gmail.com. The following data has been identified within WaitList.dat records. Note: Contacts added from Skype/Lync may be recorded as a ‘sent’ email item, due to the way Outlook imports/stores the contact. It is likely that other values are stored in additional data types, however this is the extent of data I have identified in my testing procedures. WaitList provides an additional source of evidence for email and document discovery. In addition to the existence and content of a document, WaitList will store multiple indexes for a single document over time. This provides a forensic examiner the ability to view historical iterations of a file, even when shadow copy is not enabled, or when the file has been deleted/wiped from the hard drive. The population of data within WaitList.dat is associated with the ‘Microsoft Windows Search Indexer’ process. This process locks the WaitList file on a live system. Existence of an index record within WaitList only indicates the existence of the file on the computer. User interaction with the file can only be inferred when the metadata stored within the record (e.g. ‘Sent flag’, ‘Recipient’) indicates a user action. An email or document can be recorded in WaitList without being read or opened by the user. Limitations of the Microsoft Windows Search Indexer apply to all records within WaitList. For example, files within an archive (.zip, .rar etc.) or encrypted documents cannot be indexed with default 'Microsoft Windows Search Indexer' settings, and therefore will not be stored within WaitList. Scanned (non-text searchable) PDFs may appear as records, however the body text will be empty. ‘Microsoft Windows Search Indexer’ will index emails and their attachments at a similar time. As a result, these files will occur within close proximity of each other when they are written to ‘WaitList.dat’. Whilst there does not appear to be a direct parent to child relationship value, the attachment files will contain matching ‘Recipient’ values to their parent email. ‘Date/Time’ and ‘Recipient’ values can be used to associate emails with their likely attachments. WLrip.py (WLrip) is a python program I have written to parse the contents of WaitList.dat, based on my understanding of the data structure specified below. WLrip will extract the metadata and body text of each record to a new .txt file, and produce a metadata report in .csv format. 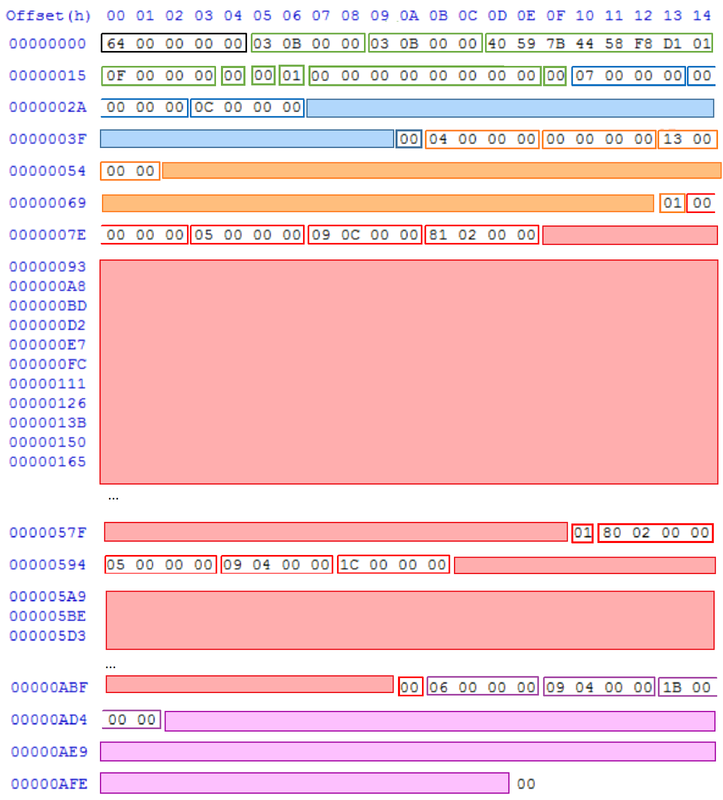 Running WLrip with the ‘-x’ option will produce a .xlsx report with hyperlinks to each .txt file created. This is the recommended method to run WLrip, however it requires the Python ‘XLSXWriter’ module (https://github.com/jmcnamara/XlsxWriter). Removes various null characters, in an attempt to clean up the text output. Produces a .xlsx report, as well as the default .csv report. Kills the ‘Microsoft Windows Search Indexer’ process, which will lock the WaitList.dat file on a live system. Requires administrator privileges. Specify WaitList.dat file location for processing. Specifies an output directory. If not included, the report will be generated within a new folder in the current directory. I have done my best to write this program in a way that allows it to capture new values (which I have not yet encountered) in the ‘other’ field. Values captured in the ‘other’ field will be appended with a [type], to indicate the field value stored in the data structure. Please send unknown values to me and I can implement them in future releases. I have also compiled WLrip into a portable Windows executable using pyinstaller. I have performed analysis on the data structure of WaitList in order to understand how text and metadata are stored within each record. All values are in little endian. Note: Local files, and email attachments will not contain the MailItem.Sent property*, and will default to 00. Note: Included in report for as Unkn for community examination. Filter on this value to view multiple indexes of a document over time. 01 = No more metadata stored in this record prior to the body text. Note: Not included in WLrip output. Refer to ‘HKCU\SOFTWARE\Microsoft\Shared Tools\Proofing Tools\Grammar’ for types available on your system. Multiply integer value by 2 for byte length. Doesn’t necessarily terminate on a 1 at the end of the record. 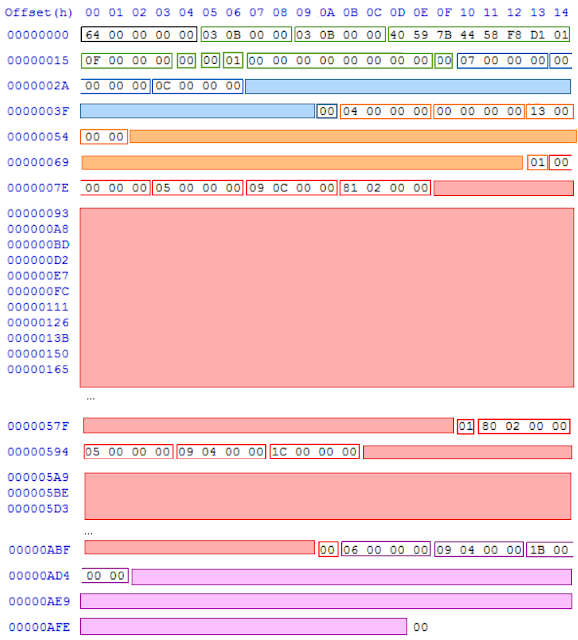 WLrip has record length checks to mitigate parsing errors. WaitList is an additional source of email, contact and document evidence to add to our arsenal of forensic examination and e-discovery tools. Should you have any questions, recommendations or corrections for any of the detail in this blog, please post in the comments section below. Disclaimer: The information detailed within this report is based on my limited testing and analysis of the ‘WaitList.dat’ file. I do not currently claim to have a complete understanding of the structure or function of this file. Confirmation and testing of my findings by the broader forensic community is required before this information should be relied upon. Thanks for putting this out there. Very interesting and helpful. No worries at all. I am glad you found it useful!